No pre-holiday let down in sight for Twin Cities jazz fans! 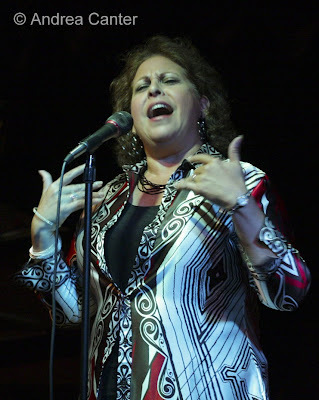 Perennial favorite vocalist Stephanie Nakasian returns to the Artists Quarter and a weekend that includes a public workshop (5/23) as well as two hot evenings with the Chris Lomheim Trio (5/21-22). Nakasian typically appears here with husband/pianist Hod O’Brien, but she’s on her own this trip. Once a backup singer with the legendary Jon Hendricks, Stephanie is internationally heeled and acclaimed as one of the great interpreters of the Great American Songbook. In short, the lady swings as if she invented the concept. Also a committed educator on the faculty of the University of Virginia and College of William and Mary, Nakasian will present a workshop at MacPhail on Sunday afternoon (2 pm) which is open to all ($25). Also in St. Paul tonight (5/21) , and again Sunday afternoon (5/23) at Studio Z, inventive tuba master Stefan Kac performs with his large ensemble, Consortium of Symphonic Transients (CoST). Performing original music from Kac and fellow Transients, the band includes Nick Zielinski, Brad Bellows, Brent Griewski, Colin Hacklander, and Wendy Ultan. Across town, Nachito Herrera is back at the Dakota (5/21-22) to give us his monthly dose of Rumba and Son and all things hot and Cuban. And stick around for the Late Night tonight (5/21) with the always hot, always powerful Kevin Washington Quartet at 11:30 pm. 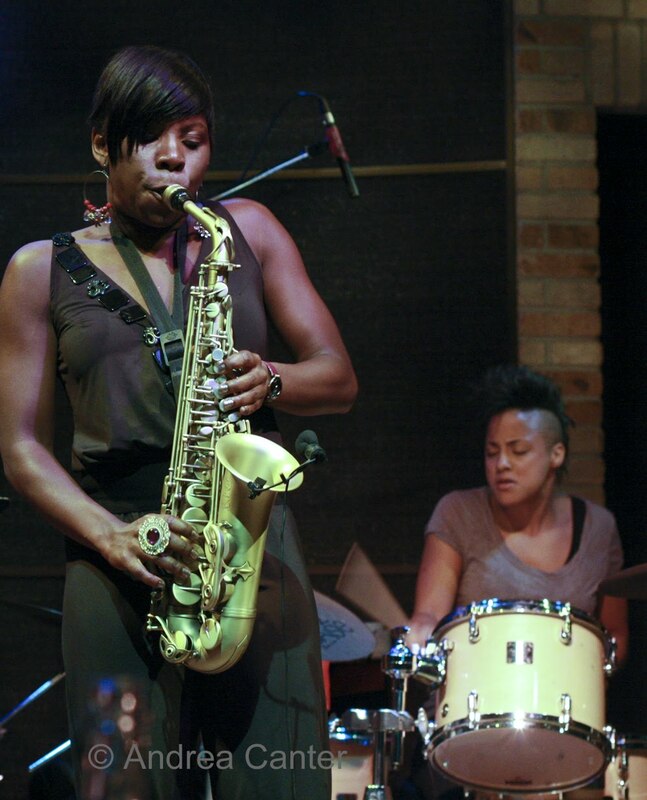 Anyone who loves ferocious mainstream saxophone should plan on at least one night with Tia Fuller and her quartet (5/24-25). Back at the Dakota after a memorable one-night stand last summer, and a guest appearance with the Dakota Combo in December, Fuller’s regular gig with Beyonce has only helped to support her jazz habits, which are among the best articulated of her generation. On alto sax and flute, Tia shines on melodic ballads or hard-hitting bop, and her spring release Decisive Steps is among my favorites of 2010. It’s a family affair with sister Shamie Royston on piano and brother-in-law Rudy Royston on drums, along with young upstart Luques Curtis on bass. And if you know a student who would appreciate the opportunity, the Dakota is offering discount tickets. You can always find plenty of soothing or invigorating vocals around the Twin Cities: Nancy Harms, soon to make her New York City debut at the Bar Next Door in June, will provide a preview at Elixir with the Hot Swing Trio (5/21), at Hell’s Kitchen with the Wolverines Trio (5/26) and in the Olive Lounge of the Hilton in Bloomington (5/27). Sophia Shorai reigns at Hell’s Kitchen (5/22); Paul Renz brings his student ensembles to Brit’s Pub on Sunday (5/23); Charmin Michelle keeps busy (as always!) at Grave in the Galleria (5/21), Crave for brunch and later at Cinema Ballroom (5/23) and at Fireside Pizza (5/24 and 5/26). Christine Rosholt gets folks up and dancing at the Hat Trick Lounge (5/21); Paula Lammers and Cloud Nine swing at the School II Bistro in Chanhassen (5/22); Arne Fogel returns to Hell’s Kitchen (5/25); Debbie Duncan entertains with Mary Louise Knutson at Camp Bar (5/25); Ginger Commodore returns to the Dakota (5/26); Katie Gearty grooves with Vital Organ at Hell’s Kitchen (5/27); and Maud Hixson closes out her weekly gig for May at Erte (5/27). Singer/guitarist with multi-lingual, multicultural repertoire, Robert Everest releases a very fine recording (World on Seven Strings) at the Dakota (5/27). More instrumental music, from swing to free: Fantastic Fridays at the Black Dog (5/21); JoAnn Funk and Jeff Brueske at the Lobby Bar of the St Paul Hotel (5/22); Beatrix Jar at Café Maude (5/21); the Stan Bann Big Band at St. Barnabus in Plymouth (5/22); Copper Street Brass at the Capri (5/22); improvising pianist Rahjta Ren at Café Maude (5/22); Fat Kid Wednesdays at Hell’s Kitchen brunch (5/23); Zacc Harris Trio at Riverview Wine Bar (5/23); improvised music at the Clown Lounge (5/24-25) and at Art of This gallery (5/25); the Tuesday Night Band and Cory Wong Quartet at the Artists Quarter (5/25) with the Dave Karr Quartet coming in next (5/26). Thursday night, if you are not enjoying live music, tune into KFAI radio for the Collective Eye, with cohosts Janice Layne Ewart and Pamela Espeland. Photos: Stephanie Nakasian (at her 2009 gig at the AQ); Tia Fuller (at her summer gig at the Dakota with drummer Kim Thompson). Photos by Andrea Canter.